In 1745, in order to celebrate the victory of the armies of Louis XV at Fontenoy, Esprit-Antoine Blanchard, the sous-maître of the Royal Chapel, proposes a Te Deum, named Cantique d’Action de Grâces pour les Conquêtes de Louis XV, then goes handing around the music sheets of his composition amid the gilded decors of the Chapel. But, an age-old custom has it that it is the sole privilege of the Surintendant de la Musique de la Chambre du Roi to celebrate such extraordinary events, the Royal Chapel being ordinarily destined to religious services. As Surintendant, Blamont comes to the Chapel and starts replacing the scores of the sous-maître by its own, but has to stop when the Queen comes in. Unyielding, he informs the Duc de Richelieu of the incident, and Blanchard gets strong admonition for his presumption. Formed in 1987, Stradivaria – Ensemble Baroque de Nantes, directed by violinist Daniel Cuiller, is intent on reviving the music of prominent Baroque composers. The ensemble approaches the musical heritage of the 17th and 18th centuries with great historical accuracy. The string section is the main source of the rich, ample “Stradivaria sound”, with its display of colours and harmonies, an instantly recognisable style that never fails to win audiences. The ensemble has earned itself a first-rate reputation, at both national and international levels. The large number of its recordings, all critically acclaimed, is clear evidence of its success. Among them, the Harpsichord Concertos by J.S. Bach (2009 Choc Award by Classica and Critic’s Choice by Gramophone, the British magazine); Sonatas by Fontana (5 diapasons by Diapason and 4 stars by Classica) and the Te Deum by Henry Madin (Choc Award by Classica and ffff by Télérama). Every two years, Stradivaria and Anacréon organise the International Early Music Competition of the Loire Valley, launched in 2015, and presided by William Christie. Marguerite-Louise Couperin (1676-1728), François Couperin’s first cousin, was described by Titon du Tillet as one of the most illustrious musicians of his time. Admitted at Versailles in 1702, as a voix de dessus, she was one of the very first female singers allowed to sing from the King’s gallery in the Royal Chapel. François Couperin wrote for her some of his most beautiful music, imagining instrumental combinations whose ethereal sound ideally brought out her voice. Named after this benevolent muse, the ensemble Marguerite-Louise Couperin was formed in 2007, today gathering the best performers of the Baroque repertoire, under the direction of organist Gaétan Jarry. 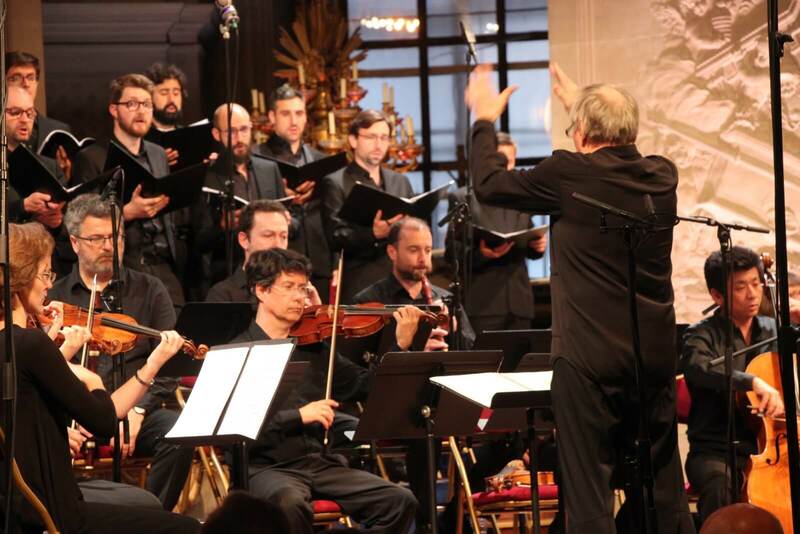 Since 2016, the ensemble has been privileged to work with the Chateau de Versailles, regularly appearing there to perform church music, chamber music and operas. In 2017, Marguerite Louise thus interpreted Charpentier’s iconic opera Les Arts Florissans, whose live recording was rewarded with 5 Diapasons, 5 stars by Classica and the Diamant from Opéra Magazine. Stradivaria is supported by the Région des Pays de la Loire, the Etat-Préfet de la région Pays de la Loire, the Ville de Nantes and the Conseil Départemental de Loire-Atlantique. The Crédit Mutuel Loire-Atlantique Centre-Ouest and its branches at Chantenay, Contrie and St Clair, the Société Yanet, Virage Group, Ferri Gestion, the Hôtel Astoria, Desevedavy Musique, BAC Audit Conseil and the Pharmacie Cathédrale are all members of “Continuo”, the Entrepreneurs’ Club supporting Stradivaria. Stradivaria is a member of the Fédération des Ensembles Vocaux et Instrumentaux Spécialisés (FEVIS), of PROFEDIM and also SPEDIDAM.